The Visitor, Hard Time, Broken Link - just three of the golden episodes that graced the fourth year of the increasingly impressive space station series. By this point when I first watched the show I was absolutely questionning how I could ever have considered turning it off back in the "dark" days of season one. Then someone reminds me about Move Along Home and I nod, sadly. But lo, the crew were too late and the Founders were everywhere - or so Odo declared at the end of The Adversary. Odd thing is that they're so damn good at hiding we barely see them all season as just about everything else steps into play. 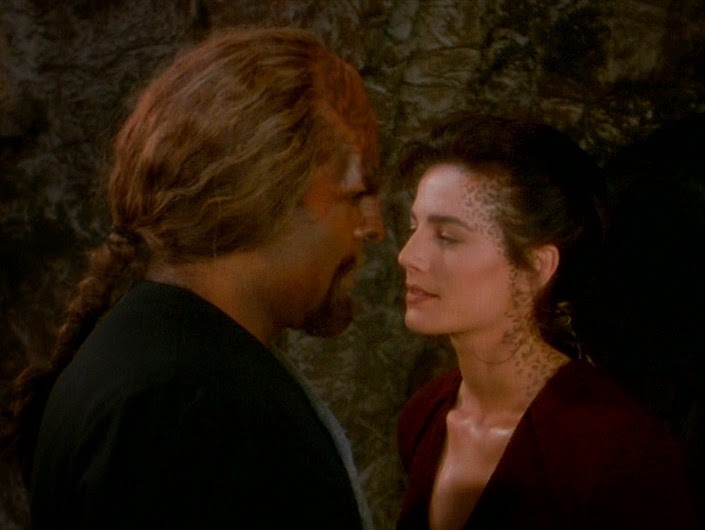 It's impossible to discuss season four without talking about Worf - which is why I dedicated an entire post to that thread a while ago - and while I can now slip out of that stranglehold, it has to be said that Deep Space Nine would have been an incredibly different show if it wasn't for his arrival post-Generations. 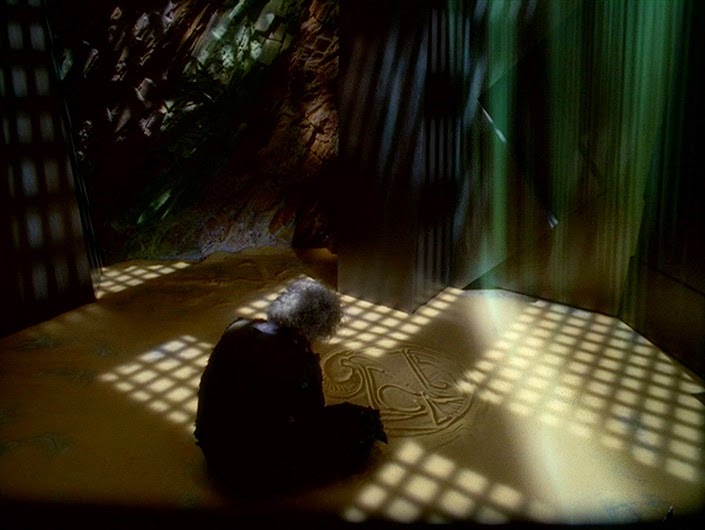 The tone changes, the lights are darker and there's a little bit more growling going on as soon as he steps into Quark's and lays out Martok's son, Drex (and we never saw him again did we...?). There's no escaping that Deep Space Nine is the show which shows up the faults in the universe and instead of paving over them it decides that making those faults a bit more obvious is the answer. Hey, they confront a lot and a lot gets resolved. Opening with the unpresidented double-length The Way of the Warrior, it was a season that meant to cement the show in our consciousnesses, even if they did initially rely on a certain Klingon to do that job. The premiere was and still is a thrill ride every step of the way and the closing battle scene demonstrated that the game had been stepped up. 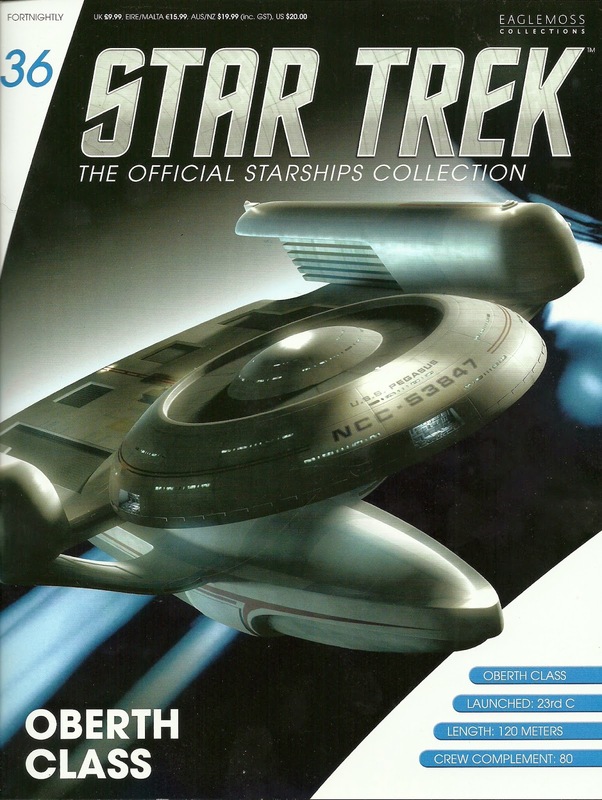 The episode is one of the best and most gripping and one of only two book adaptations that I own, the other being the pamphlet thick Trials and Tribble-ations. No other season opener packs as much in or attempts to set as much in place as The Way of the Warrior and nor does any after it try to. But it's best not to dwell or laud over Worf's transfer because this is a season which ensured that every single one of the regular cast excelled - and some in ways that we didn't expect. 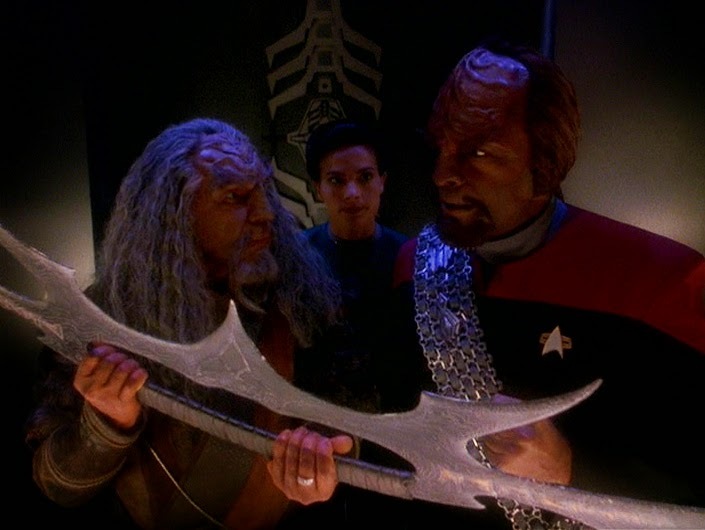 He does take centre stage for The Sword of Kahless but gets slightly upstaged by the mesmerizing John Colicos as Kor in his second of three appearances and again in Sons of Mogh which brought back brother Kurn and Rules of Engagement. The Visitor for one covers that perfectly. Coming straight after the season opening The Way of the Warrior no-one expected the tour de force that oozes from every line and shot of this beautiful episode. I've watched this more times than it's been repeated on TV and each time I love it a bit more. For me this is better than The Inner Light, more gut-wrenching than The City on the Edge of Forever and Tony Todd hits every emotional button in his arsenal to make this one of my top ten Deep Space Nine episodes of all time. Back in the day it was all about those fascinating glimpses into the future - Morn at the bar, Dax and Bashir married - but as I reach the middle of my thirties with children of my own it resonates in a very different way. Not that I expect to be sucked out of time and revisit my son every few years for ten minutes, but I do value family a lot more than I ever did before. For me The Visitor will always be one of the best. 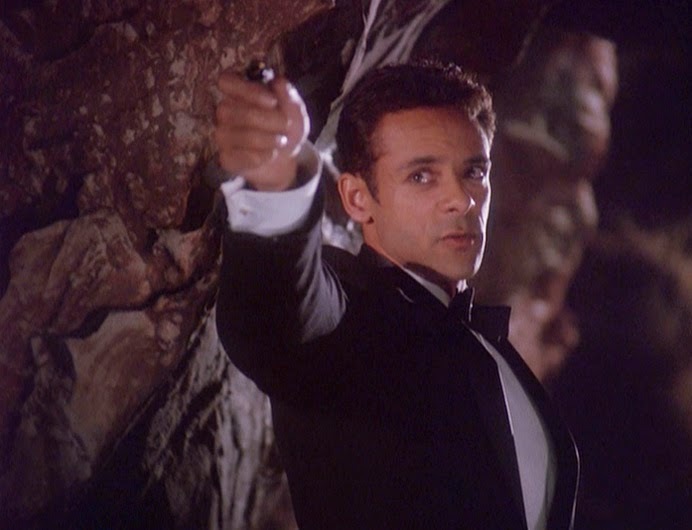 While Lofton got to expand the role, Bashir appeared more constrained, attempting to cure both the Jem'Hadar of ketracelwhite addiction in Hippocratic Oath and then a mystery Blight (also linked to the Dominion) in The Quickening. While I could say that it limited the doctor I find both of these brilliant episodes. Namely with the former because it failed to pacify the Jem'Hadar which The Next Generation had done with the Borg in I, Borg and Voyager would attempt with Species 8472 in In the Flesh. Addicted or not they were born to fight. Hippocratic Oath does add to the Jem'Hadar backstory significantly and on this viewing it refreshed a bit of Jem'eral knowledge (jeez...pun out) as well as giving me an "ah" moment when the O'Brien/Bashir ruckus happens towards the end. It's a big tick box because even after four years of their relationship flourishing Deep Space Nine could still remind you that not everything is always sweetness and joy. Things happen and people do have different attitudes and not every week can we skip merrily back to the station. Probably the big winner for Siddig this year was the brilliantly entertaining Our Man Bashir. Genius and one of those episodes alongside Far Beyond the Stars which let the cast stretch their acting legs a little. Total nonsense but magnificent from start to finish and certainly a lighter moment ahead of the Earth-centric mid-season two-parter. Brooks chews it up as Doctor Noah and Garak's role as the sidekick and some of his words of wisdom are perfect as the spy gets to play his role once more. Kira of course ended the season pregnant with the O'Brien's child in Body Parts to hide Visitor's real life pregnancy and that would play a part in her onscreen appearances the following year. In season four we have more material which seeks to change her mind about the Cardassians, in both Indiscretion and Return to Grace both eyeing up her relationship with the ever-changing Gul Dukat. The introduction of his half-Bajoran daughter, Ziyal wasn't that necessary but her flourishing friendship with Kira and Garak in later stories again forces the major into a position where she has to examine her opinions of the former occupiers of Bajor. Being Dukat though it's never straight-forward and both these stories add dimensions onto the already multi-layered villain of the series. Kira's tales for this season don't give her much more room to go except on that Bajor vs Cardassia line which she's been dragging along for four years. Luckily, again, season five would rectify that to some extents. 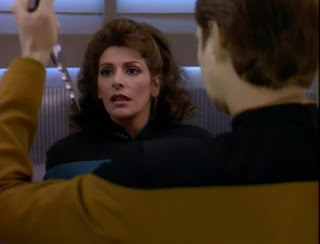 That's not to say that Kira wasn't key to the season; far from it as Visitor is one of the best actors in the show but you do feel her role was cut down to allow Worf more screentime since he does her job for Starfleet. An example of that is Worf's new position as alternative commander of the Defiant when Sisko is away (Paradise Lost) which would have been assigned to Kira a year earlier. It does make more sense for a Starfleet officer to command a Starfleet vessel but his appearance in the series makes it more evident at this time that Worf and Kira are effectively playing the same part. That two-parter throws a lot of questions in the air and also means that the later Section 31 make a lot of sense. Starfleet admirals are reknowned for being a bit mental right back to the days of Kirk and neither are conspiracies anything new after, well, Conspiracy but knowing about the ever-creeping shadow of the Dominion makes you forget all those possibilities. Earth is a realistic target and to be fair you do realise how much of a sitting target it might well be. 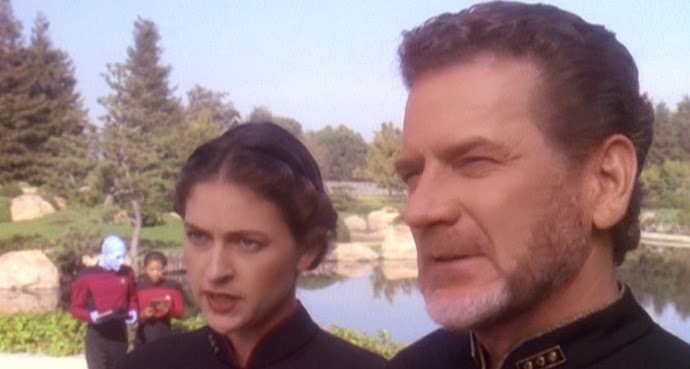 Robert Foxworth's Admiral Leyton isn't the typical slightly unhinged senior officer we might have expected and his argument even seems fairly reasonable especially when you look at what the Breen accomplish in season seven's Penumbra. Deep Space Nine always excelled at instilling a wave of paranoia over its viewers in these darker Dominion days and the Homefront/Paradise Lost duo are are shining example I enjoy year on year. Barely set on the station itself, it's a Sisko story which adds weight to the occasionally sidelined captain and also looks at the bigger picture surrounding the imminent threat from the Changelings and their brethren from the Gamma Quadrant. A great double-header though and not even a season-closer. Talking of Kira, season four was the last time before Enterprise's In a Mirror, Darkly, that we got a decent Mirror Universe episode. Both Resurrection and the final season's The Emperor's New Cloak were tedious, dull episodes which offered much and gave nothing in return. The Mirror Universe in the first three Deep Space Nine takes are great, fun and totally indulgent with Garak sucking up to Regent Worf here and the alternative Kira playing everyone like a fiddle where she can. The problem after here is that the ideas seem to dry up and giving us a Mirror Bareil and later allowing the Ferengi across the dimensional threshold were two unforgivable errors of judgement. Given that Little Green Men, The Bar Association and Body Parts are decent Ferengi episodes which mix humour with enjoyable plots and a point, making them into bumbling cross-universe sales merchants was a step too far in my opinion. 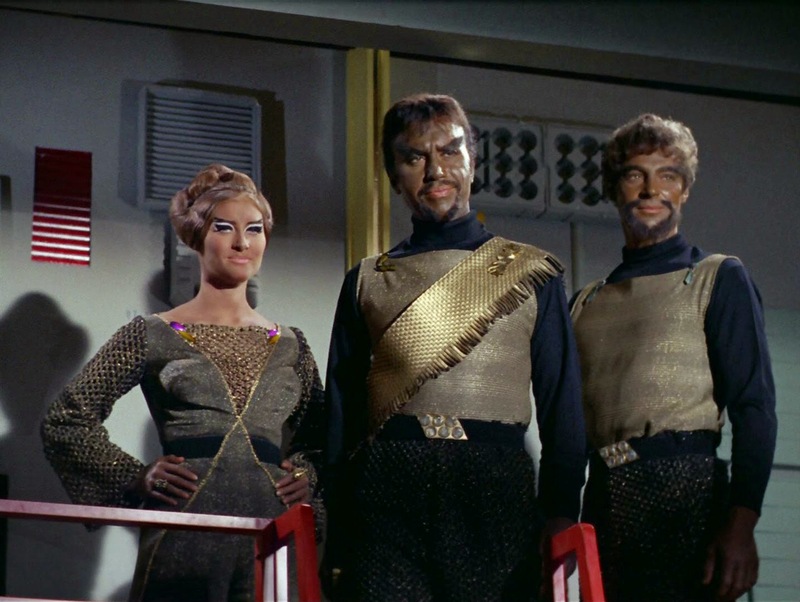 Here the Mirror Universe is a real threat; there's danger, anyone could end up dead (and does). Maybe they just ran out of good people to kill off? 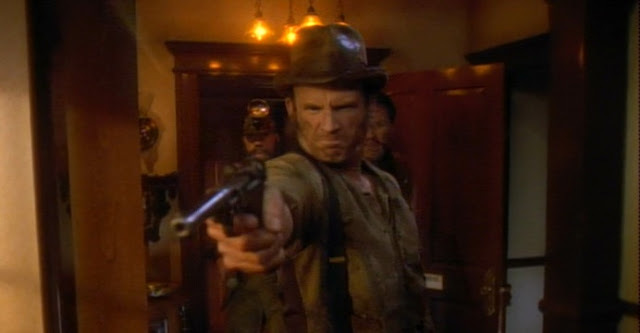 The quality of the season does dip a little and my thoughts on that have remained the same since '96 as Crossfire (another Bajoran Kira episode),The Bar Association, Assession and Rules of Engagement are average but none that I would speedily revisit. They are still a cut above average The Next Generation and good Voyager and if they were in the first couple of years of this show would have been seen as early classics. 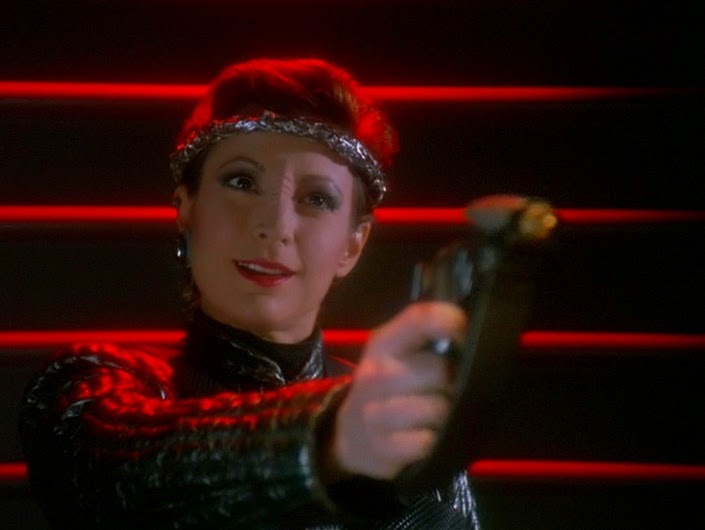 The Bar Association does have a welcome return for Leeta but it's drippy Ferengi stuff which I find difficult (but not impossible) to handle. I saw Rules of Engagement originally on a first cut VHS with all the running times still on the screen and marvelled at the clever talk-to-camera techniques used as part of the evidence against Worf. It's a fresh way of telling courtroom drama in Star Trek as it's been pretty standard if you look back at The Original Series' Court Martial, The Menagerie or The Next Generation's The Measure of a Man or The Drumhead all of which are variations on that theme. I admire that these asides do make it different and memorable but not in the same category as others that surround it in the year such as the subsequent and brilliant Hard Time. The much vaunted annual hit-O'Brien-when-he's-down episode is the best of the lot; more cerebral than Whispers, more twisted than Visionary and probably Colm Meaney's top Deep Space Nine performance ever. O'Brien is utterly taken apart, lives another lifetime in minutes and becomes a different man by the end of the story. Bitterly though he's absolutely fine the following week as if nothing had ever happened (two episodes actually as the next one is in the Mirror Universe). I would have liked to have seen this resonate a bit further down the season but the relationship between Ichar and Miles is believable to the core and the brutal finale and the lifetime of punishment it in turn would provide is heart-crushing. But what of the captain, what of Sisko? It is a Ben-lite season oddly with only For the Cause marking out his niche in the fourth year. Yes, he's around all the time and The Visitor is big on the Family Sisko but this late season entry is key to the character's development as I noted in another post recently. This starts a key arc and the descent of Sisko into his deepest darkest emotions which will travel through the troubles of For the Uniform and emerge kicking and screaming in In the Pale Moonlight. I never thought much of the Kasidy/Eddington/Sisko interwoven story however on this run through I realised just how important and damn good this one is. It jumped a lot of places in my favourites list. The duplicitousness of virtually all involved is delicious. 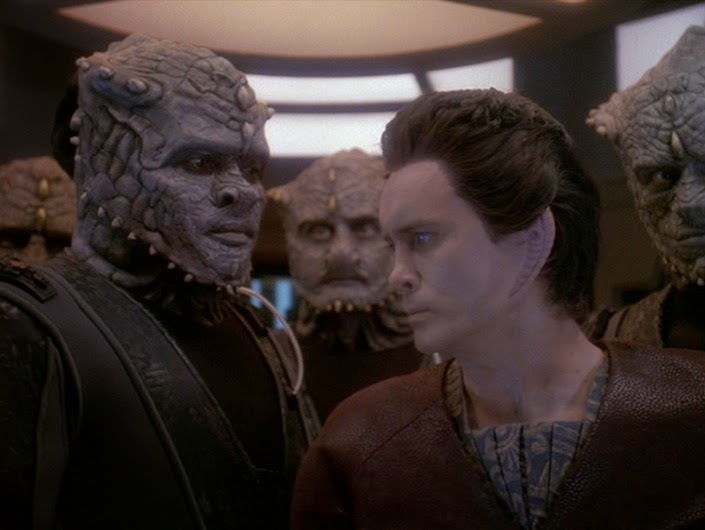 Which leaves only a couple of episodes to digest - To the Death introduces one of the greatest recurring characters ever in the form of Jeffrey Combs slippery and silver-tongued Weyoun who we thought would never turn up again but was so awesome he did and meant that the Vorta ended up being clones to cope with the issue (clever clever) and is one of those rare episodes where action takes presidence over everything else from the off. 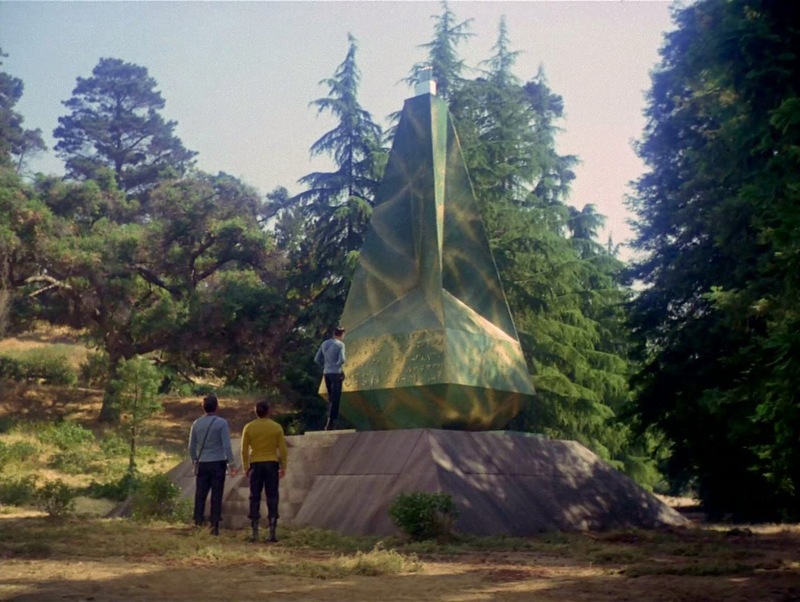 Add in a bit of Deep Space Nine destruction with one of the pylons getting blown up and it has a lot of memorable if simplistic high points plus the return of the long-dead Iconians and their rather useful gateways. It's a personal guilty pleasure episode and nice of the rebel Jem'Hadar to wear different coloured uniforms to distinguish themselves. And finally. Broken Link. In the deep space tradition it's full of ongoing threads and repercussions playing to every strength of the show and once more ticking every box possible - and adding a couple in. I admit I do look forward with enthusiastic hunger for the season finales of Deep Space Nine. There are massive highs in the mid-season but you can't beat one of their not-a-cliffhanger cliffhangers which every season from The Jem'Hadar through to The Tears of the Prophets does with aplomb. 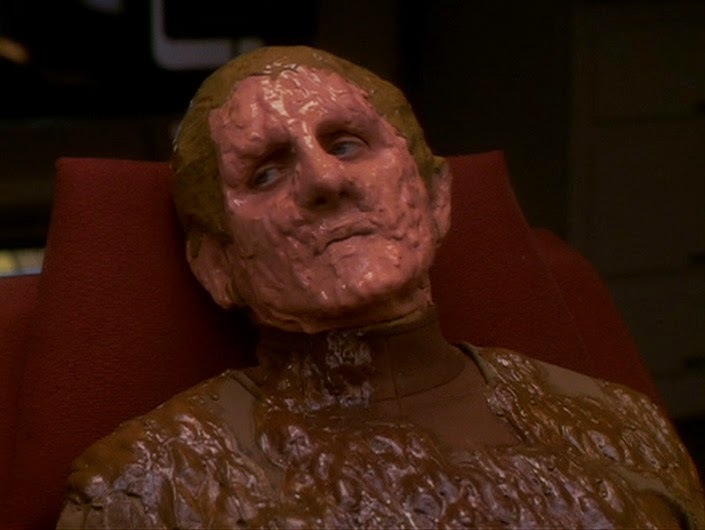 Odo, like Sisko got a quiet season but that "No Changeling has ever harmed another..." bit from The Adversary was never going away. The Dominion have skipped in and out of season four just as they managed in season three but their stamp is all over Broken Link more than it was the previous season closer. Broken Link is not a massive action packed, explosive jaw-dropper and much more character focused, more explorative of cause and effect than anything else. It reminds us that there is no getting away from events which has been the big winner in the trail of Deep Space Nine. For me it's not the best season finale in the seven years of the show but it still leaves you with a shiver, with a terrible fear that it's going to get worse and that, once more, nothing will be the same again...which can't be possible...again...can it? Season four is again a step forward for the show and I can't fault it's efforts. The arcs are more rounded and you can see that there is payoff. No good deed goes unpunished here and everything has a consequence. Deep Space Nine never stepped away from showing its characters in a varied light. Here in season four that's most evident and maybe Worf's arrival just pushed some more dirt under those already grubby nails. No-one comes out of year four looking like a saint even though they may have entered the year decidedly on the more honest side of life. Season four sees a lot of information set in place, as subtle a buildup as the previous year but this time there is an sense of imminence to proceedings. Seeing little of the Dominion works in the opposite manner as every conversation leans towards them, by leaving them out they are felt even more. Worf's arrival too might have seemed convoluted at the beginning but as the year grew on it became clear he was a better fit for the conflict-rife Deep Space Nine than the polished corridors of the USS Enterprise. 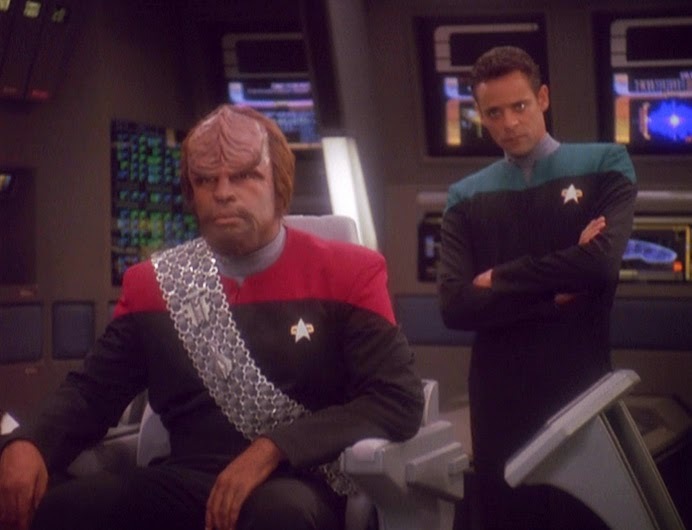 He might take the occasional trip back but here Worf's links to the Empire could be explored much more deeply and the introduction of Martok as a semi-regular in the following year would have an even bigger effect on the Klingon as would his relationship with Dax. This does mark the mid-point of the show however as I've pointed out before it feels as though it's a fresh start, a stronger start with much more idea of where events will lead - the year felt like it was the first with a full roadmap from day one. Now let's talk season five to see if that gets edged any further. How did you rate the fourth year of Deep Space Nine? Was it the best, average or failed to deliver? The Oberth Class probably has one of the worst service records in Starfleet. 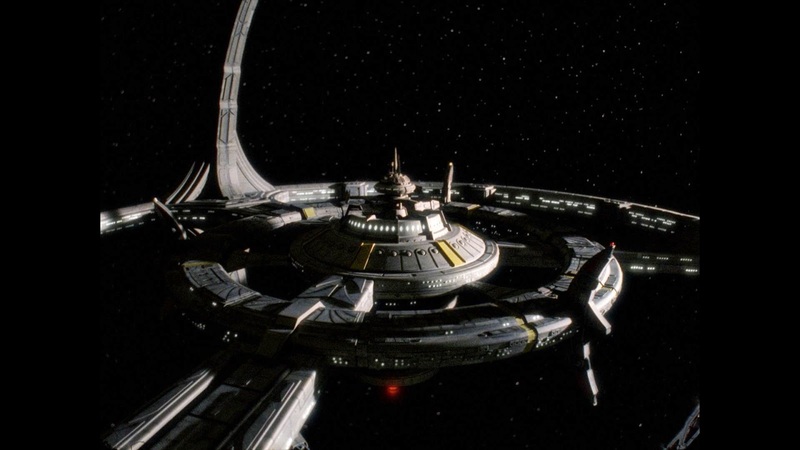 Alongside the Miranda Class it turned up in bits, in rocks or in the sights of a Klingon Bird-of-Prey pretty often and one of the only times it survived was when it showed up three seconds before the credits rolled on Star Trek: Generations. Opening the usual parcel did show that mine was in it's "pre-annihilation" state without a single piece hanging off. Mega. Love it. It is, to mis-quote sports fans, a starship of two (distinct) halves. The saucer/primary hull is very heavy, very detailed and decalled up as the first of the Oberth Class ships to grace the screen, the USS Grissom. I would have been disgruntled if it has been marked up as anything else since this is the vessel that made the class famous. Not bad for a model that was only there to get blown up by Kruge. That heavy primary hull is of course the big metally piece of this release and is a big contrast against the very light and surprisingly flimsy tubular secondary hull. The aztec paint detail and markings are excellent but I was very aware of its fragility from the second it came out of the box. Around that same issue is the stand fitting itself. Very tight it is but it has been noted to be causing some scratching to the paintwork if you attempt to remove it. So let's weigh (!) this up a bit more. 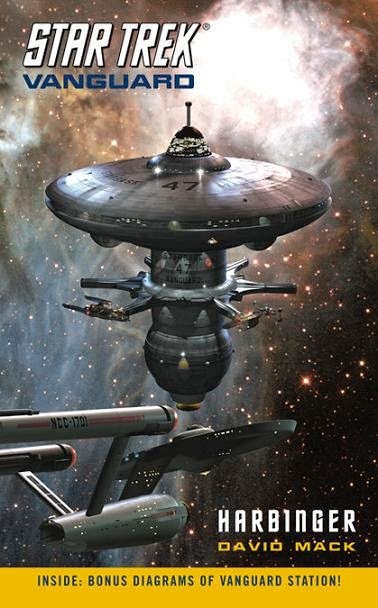 The Oberth Class is one of the most seen starships of all time, appearing in movies, The Next Generation and Deep Space Nine in various states so it's nice to see her at in her prime and the model belays that perfectly. 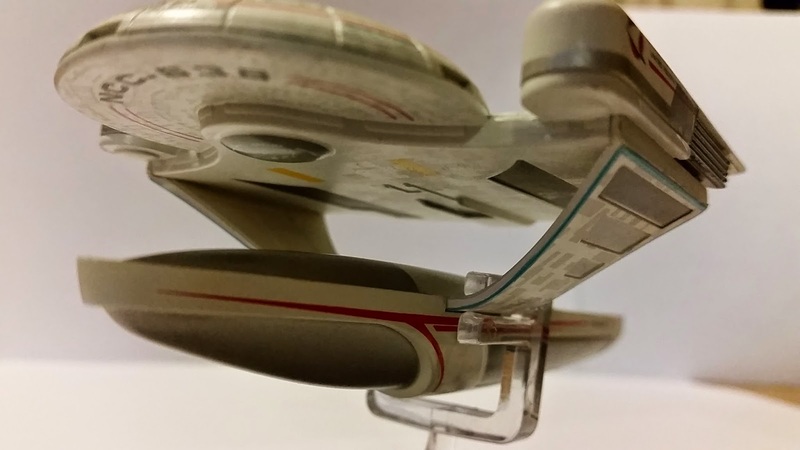 The joint lines are virtually invisible here, well hidden by the position of the warp nacelles and their connection to both hulls and therefore keeping all those glaring gaps well out of sight. For note, unusually there are no transparent plastic sections, even on the microscopic impulse engine at the rear of the primary hull. One of the other great things about the Oberth Class USS Grissom is it's size. With the Runabout recently, this new vessel benefits from the wonders of "big scale", allowing a much better level of depth to admire. The surface lines are much more defined with the detail sweeping across both hulls fluidly. Yes, it is obvious which parts are made of which material but there is a good level of consistency across the whole ship when it comes to their detailing. Two things however have let me down a little with the ship however. One is that the alignment of the window "lighting" on the saucer piece is out of alignment with the window slots (that's not hand-finished) and that on mine the tail of the secondary hull is slightly chaffed, Mind, these are minor points when you take into account the classic design and the overall result which has allowed Eaglemoss the chance to apply larger decals for once and cover every surface accurately. The design itself isn't one of my ultimate favourites however this is a top class replica. The issue 36 magazine follows standard procedure with overall details on the class with a chunk of photos from its movie and episodic appearances including as the USS Cochrane and the USS Pegasus and briefly (very briefly) covers the building and filming of the original model. Apart from the model though all the CGI stuff on the cover and inside the mag is Pegasus. Nice but a bit odd as the model is Grissom. Anyway, it does include a great visual comparison between the study and filming models used for The Search for Spock. Sandwiched between those two sections is a great little read on the production of that third Star Trek movie installment - designs that would last for many years after. Due to page constrictions it's not indepth but the photos are good to see and provide some insight into the development process. 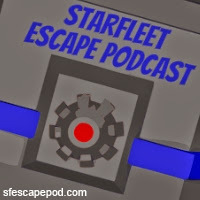 Issue 37 returns us once more to the seemingly bottomless mine of ships that come from the four seasons of Enterprise. This is the eighth release from the show and the third in the last four. Issue 39 will also be an Enterprise ship in the form of the Romulan Drone which does provide a sense of Archer-era saturation. Nevertheless it's another solid release if substantially plastic. That is the biggest criticism I can launch at the streamlined Andorian ship that actually looks like a ship - it has wings and everything - is that it's about 92% plastic and 8% metal. Those flashy little metallic wings are that 8% but on the counterside it does have more clear transparent plastic sections if that's what suspends your starship and the hull detail in comparison to the plan views is incredibly subtle with two-tone silver all over. 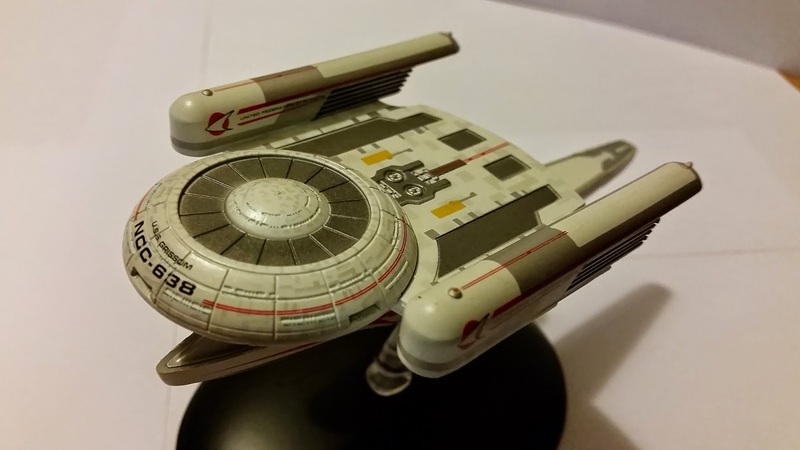 Comparing the model to the pictures in the mag and to a selection of Enterprise screenshots it does appear very accurate to the "real thing" and one more chalked up success for the show. There do seem to be a lot more recessed and embossed details across the ships but there have been more of these that have been light on the metalwork. The Andorian Battle Cruiser is indeed very light but the lack of metal hasn't detracted from the work that has gone into its making. 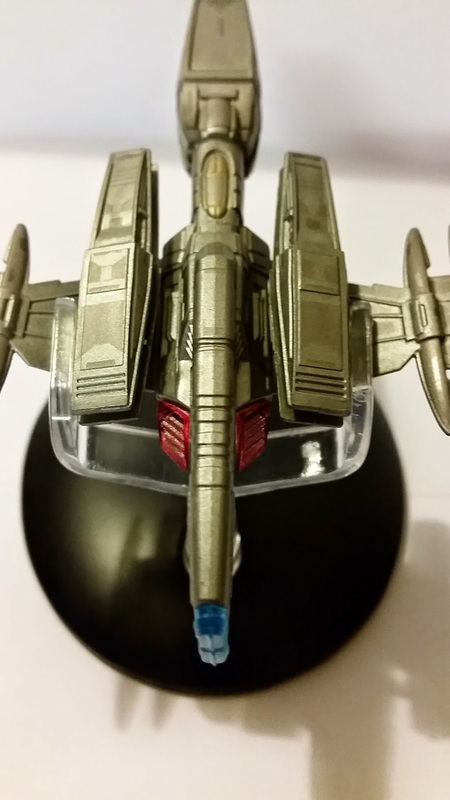 Indeed there have been rumblings about the drop in quality recently which really shocked me as there have been some brilliant models in the last few months - the Prometheus, the Jem'Hadar fighter, the Runabout to name a few. I would even go as far as to say the quality has improved since there were some proper shoddy releases in the early days where they weren't totally screen accurate or there were some very shoddily constructed ships just to keep up with the unexpected demand. Admittedly on the Andorian ship we have here the blue engine segments in the pods aren't split in two and the red impulse segments are a wee bit large but the finish is clean, the paint textured and there aren't any pieces falling off. I would also note that on both ships the stand fitting is perfect - and this has also been improving since the early days. 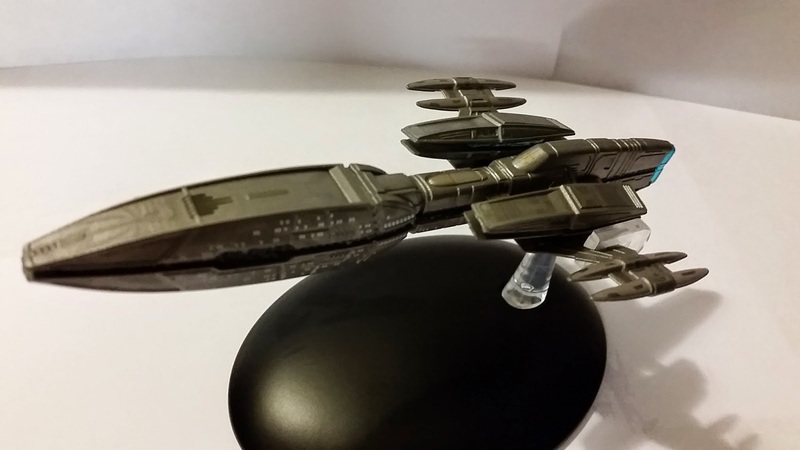 Remember the non-stick Romulan D'deridex Class or, as I found out, the incredible falling Miranda Class that I did have on my work desk but had to remove since it fell out every time you nudged the surface. OK - a brief sojourn into the literary quarter of this release. The Battle Cruiser is very conspicuous and the info within is about at the same level giving very little insight inside the ship. We didn't get much of a look round one of these in Enterprise so much of the info is reliant on the dialogue within episodes that featured it and discusses, on the whole, defence and engine capabilities. 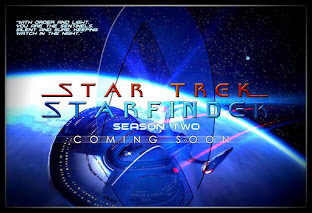 The views, as you would expect and I certainly have, still lack any level of decent detail for the discerning fan but at least we have a well presented narrative on the return of the Andorians to the Star Trek universe and their sporadic appearances since the classic Journey to Babel. If it hadn't been for one Jeffrey Combs they might have only come back for a single episode but since he's so damn good and made Shran his own, we got more and more of the blue-skinned race. Trading off space from the designing section was a good choice here although most of the space is taken up with John Eaves sketches. Actually I don;t care because they're always great to see and understand where your favourite ships came from. Neither the Oberth or Kumari Class ships from this month are high-profile classic designs but they have still come out at a high level of quality. When there is a dud I can assure you it will be highlighted but for December, these have been two very understated models which deserve just a fraction more of the limelight. 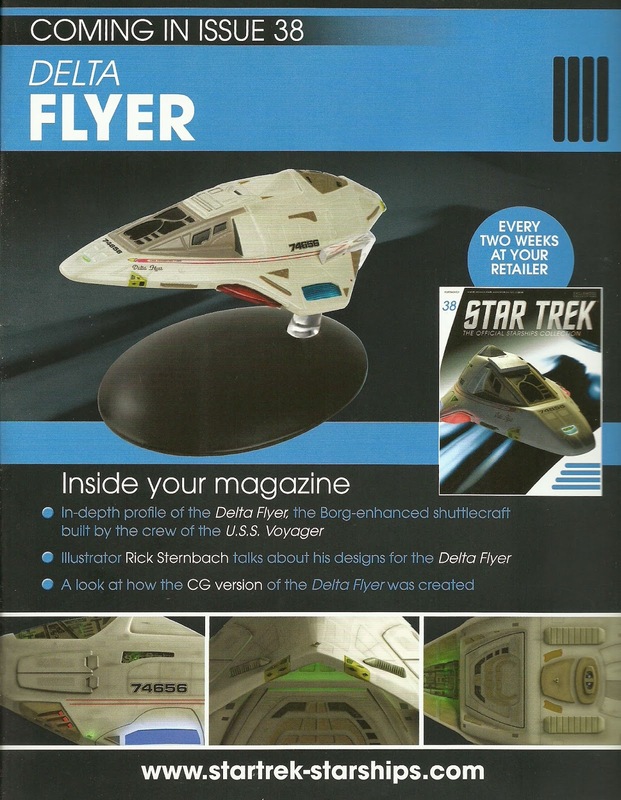 In other news we have the Delta Flyer to look forward to in January as issue 38 followed by the Romulan Drone in issue 39. Recently we've also been blessed with the first issue cover pics for the USS Pasteur and the Species 8472 Bio-ship which I've included for reference below. 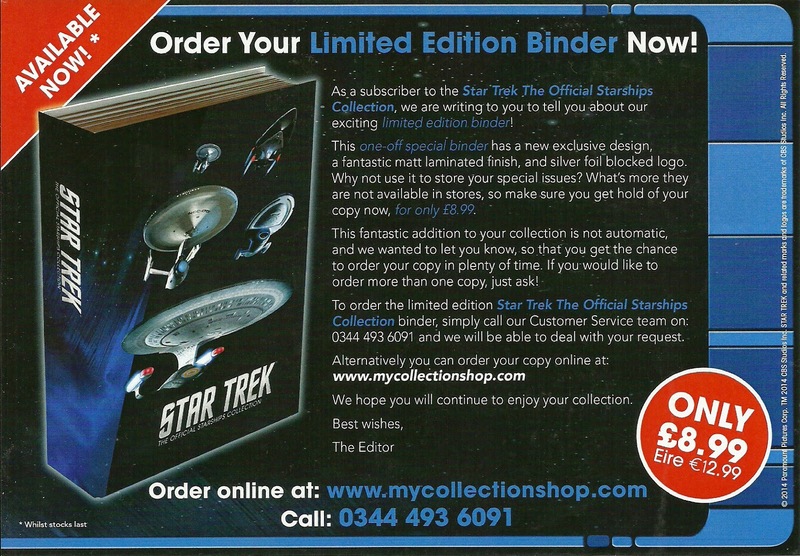 Included with the magazines this month was also the flyer for the limited edition binder. Perfect for holding those special editions that get pushed out every time you hit a 16th issue, rumour is that demand is already outstripping supply on these so get it while you can. You can get your collection off to a start now by following our link to the left. 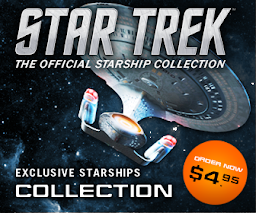 The Official Starships Collection releases a new addition every fortnight. 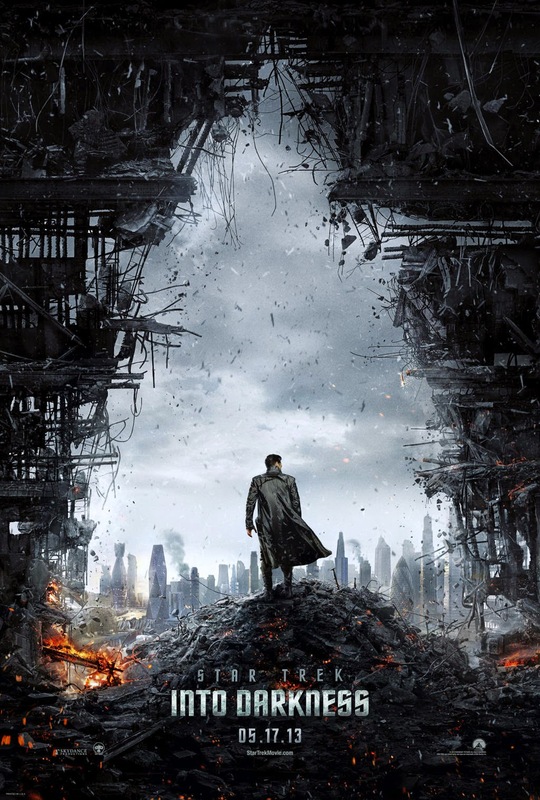 A starship down and a seemingly malevolent alien race are in control of a planet. You'd be forgiven for thinking that might be a great tag line to introduce a standalone novel but in this case it's a description of how the second Seekers story kicks off. Dropping the reader right into the middle of the story will be of no issue to those who have (sensibly) tackled Seekers 1 however for those of us that haven't it's more than a little challenging. There is a brief recollection within the first chapter of Point of Divergence (the subtitle for the second book) as to the events that immediately preceded this release but they are pretty sparce and it's not as accessible as I found The Fall could be if you weren't reading them in a linear fashion. However I doubt that with Seekers you'd be reading the second book if you hadn't touched the first. Anyway, let's tackle this story and see where it takes us. As with every one of our book reviews we do like to note that there may be SPOILERS ahead so if you are worried we'll give something away, click onto one of our other articles and enjoy. 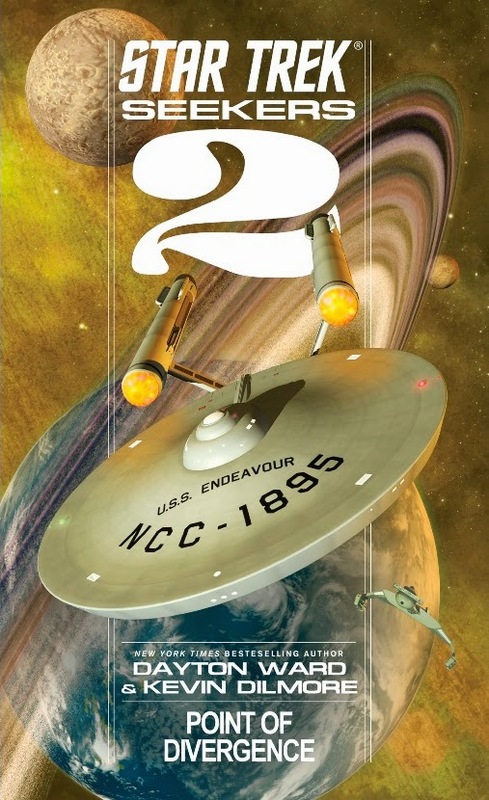 Seekers 2 is a direct sequel, launching the reader back into a tense confrontation between the Klingons, led by Kang, the Federation and an evolving people known as The Changed. These Changed - and one in particular - are fairly hostile towards outsiders and aren't concerned with differentiating a Klingon from a human as we come to find out fairly soon. It's a conflict with two fronts actually as we have the surface activity involving all three parties around the crashed hull of Captain Terrell's USS Sagittarius and then the stand off between Kang and the USS Endeavour in orbit above. For new readers there are a lot of characters to get acquainted to fairly briskly although anyone who has made it through book one will have no trouble identifying the leads here. 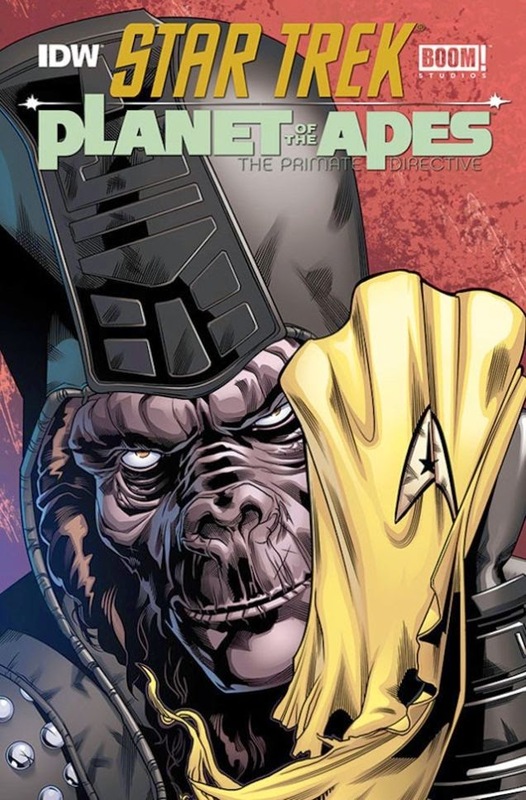 My issue is that they all seem very average with no-one particularly standing out or making a mark and that's a shame since the grounding of Point of Divergence is perfect, relating back to The Paradise Syndrome and the Preservers as well as exploring their legacy and secrets. But I couldn't get excited. Sorry. You see this series (which will be receiving at least a third book in 2015) just doesn't seem to deliver the suspense and excitement factor I've felt with other recent Star Trek literary releases. It's good but standard fayre that seems to be trailing off the backend of the very successful and well regarded Vanguard series. Perhaps the hype for these books has overshadowed their purpose but that doesn't mean that authors Dayton Ward and Kevin Dilmore haven't done a good job because they have. This is solid and well written with solid and well written characters in a solid and well written environment however the spark just doesn't seem to eminate from the page and this really does take a long time to get anywhere. If there's one thing I can say it's that while the first book provided a great cliffhanger to draw readers back for a second helping it's continuing story has echoes of one of The Next Generation's less successful two-parters - the second round never quite lives up to the work put into the first slice. In fact I found the first half of this book a slog. Nothing really happens once the Tomol known as Nimur completes her/its transformation into one of the Changed (close to the opening) and sets about making sure her brethren also take the evolutionary leap they have been restrained and nigh on forced to avoid for centuries by the Preservers through a life-ending ritual. That alone is a great draw as a plot point not dissimilar to Logan's Run in it's conception but when the bulk of the book is drawn into an almost cat and mouse chase sequence across the planet with the Sagittarius in the middle effecting repairs it gets a bit repetitive. Captain Khatami and the Endeavour are there for plot exposition, revealing the machinations of the Preservers and their relationship with the trampled Tomol but offer little heroics. Khatami herself bounces between the planet and her ship and while we might have expected the crew of the Enterprise to knuckle down and find a solution quick time, the Starfleet crew here seem to take a while going round the planets to come up with something feasible - and that's after a considerable amount of time with characters chatting about their observations of the Tomol or Kang trying to guess what's going on just about anywhere.and repair his own damaged vessel. Luckily there is a turn of events but it could have come earlier in the book when the Tomol/Changed finally arrive at the Sagittarius but as a new reader to the series I wasn't gripped. The key character here is, of course, Terrell and we all know that he's destined for more wriggly things in The Wrath of Khan which totally detracts from any sense of forboding that could have been created here. Had this been another captain, another name and character specifically for this series then we might have cared as we would have come to know them in the course of one and a half novels. Given it's Terrell you can't take the danger seriously and that's where this whole series might fall down. The premise is good, the idea is good but one captain just lets the realism slip because of our knowledge of the "future". The Tomol themselves, complete with morphing ability that makes them sound uncannily like the Hulk at some points and Superman at others aren't evil but driven to eradicate all that isn't pure from their home and cause some damage along the way to make the outsiders pay for apparently stunting their growth - in other words thinking the Starfleet crews are their former "jaliers", the Preservers aka the Shenai. Point of Divergence does get very wrapped up in the whole situation with what is causing the change and genomes, DNA and all sorts of biological tech get blasted in to help explain the challenge but I wasn't sure how this would work out and what the point was when the mission seems to be to ensure the Sagittarius crew are rescued. Ok, so it's a reaction to make sure the Tomol/Changed remain on the planet as they can become airbourne but these abilities seem to hinder the plot and make the apparent adversary a super-race and therefore seemingly unstoppable by any normal convention which is equivalent to writing yourself into a very tight corner. I do feel for the authors of this second book and also for David Mack who wrote the first book. Perhaps my view on the series would be different had I chosen to read and review the first chunk of the tale but sadly that wasn't possible on this occasion but it does go to prove how sometimes just picking up a book from a series can make it incredibly inaccessible. As I'd missed a lot of character build-up and establishment in Seekers 1 I did find all of the characters distant and perhaps a little one dimensional. I didn't understand who they really were because those following the story already knew that and for me not engaging in that formation of a narrative relationship and believing in the characters absolutely shut down my engagement with this book. Had I got to know the crews in the first place I may well have approached this novel much more openly and positively but as it stands, as a standalone, I felt it doesn't hit the mark. For all of you thinking of reading Seekers you absolutely HAVE to read book one otherwise book two will be a waste of your time and money. I just hope that having taken the time to dabble with the second book I might stand a chance of understanding book three next year. That and I'll have to grab a copy of book one. Following the Seekers saga? Do you think we're right? Let's discuss! "Data...sometimes a cake is just a cake..."
Season seven's Phantasms is among my favourite The Next Generation episodes ever. I spent a whole weekend in my teens transcribing the script from VHS volume 79 and typing it up. In some respects it makes Schisms look like a trip out to the seaside for utter weirdness yet it has me enthralled thanks to its unique plot and imagery. Then real shame is that the basis for the story is only explored in two episodes of The Next Generation and tragically never gets any more airtime due to the demise of Data in Nemesis. I guess it was one if those things that really would need it's own episode to talk about and I guess coming up with plots surrounding a dream programme aren't the easiest of things to come up with. This breakthrough in Data's programming was unleashed about half a season earlier in Birthright, Part I which I now think is a great little story. While the plot around the activation of the dream programme is only explored in the first part, it's one of the strongest indicators that Data is capable of becoming so much more and gets to keep an improvement for once rather than having it bestowed as a thank you or stolen from him. Now, Phantasms. I would absolutely love to wax lyrical over this one... Oh go on then, I will. Twenty years since it first aired (Really?! That long?) it's one of those classic The Next Generation moments for me. As an immediate successor to Birthright, Part I, it does the story of Data's dreams the justice they were ill-afforded and ignored by the concluding part of the sixth season instalment. Brandon Braga is of course the man behind the script while Patrick Stewart held the directorial reins for the episode. This could easily have mutated into a schmaltzy "Data-learns" story as he comes to terms with his dreams and what they mean it goes as opposite in direction as possible. While saving the ship from some slug-like hitchhikers, we gain a troubling entrance into Data's psyche. Perhaps placing it against the recent emotions he experienced due to Lore in Decent would be as justified as relating it back to the more understandable visions that were realised in Birthright. There it was about Soong as creator, forging Data using his own hands and then letting him loose to explore and evolve. It was evidence that Data could make significant jumps in his understanding and abilities but there is a far more poignant moment in the sequel of Phantasms. When I rewatched it I still got the tingle of amazement that this line made it into the final version. 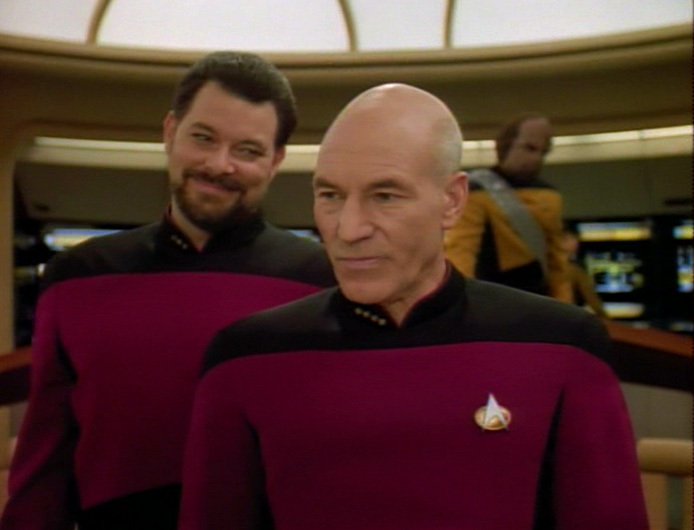 When Data awakes from his second dream sequence he speaks to Geordi in engineering and starts to say that when he woke up he..... And never finishes the sentence. Is it that eventually the emotion chip he finally receives in Generations (and conveniently turned on and off for First Contact, Insurrection and Nemesis) would not have been required? Was Soong's surprise in his appearance to Data in Birthright to do not only with the fact that his ultimate creation had managed to access such a deeply ingrained programme that he knew it could lead to self-development of emotions without external assistance? For me it's one of the most jaw-dropping cast off lines of the entire series, even more "argh" inducing than the Picard/Crusher romance that never quite happened. Had we explored the dreams of the android some more would this have been an eventual outcome? The benefit of hindsight, hmm? I actually think we'd never get an answer to that unfinished question and it's important to remain on target here. Phantasms perhaps highlights how far Data has come since the beginning of The Next Generation while perhaps showing that he still has a great distance still to complete. His dreams bleed into reality and while it eventually becomes clear that there is a purpose to his "waking dream state" which reveals the existence of the creatures feeding on cellular peptides, it genuinely emotes some of the most chilling sensations I've ever felt within an episode of the series, specifically the sequence with Troi in the turbolift which was originally trimmed by the BBC when they first aired the episode. While Data is able to dream and thus be a step nearer to his goal of becoming human he still has the ability to turn it on and off at his will - there is still that last hurdle to overcome where it will "play" automatically rather than being instigated when desired. 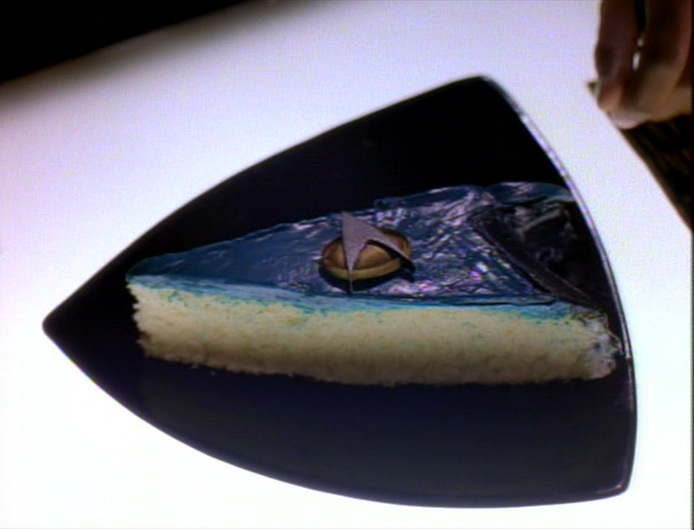 While the Troi incident is naturally chilling, the reminder of the dream sequence which repeats itself through the story is as bizarrely imagined as it is apparently logical by the tale's end and it would be more than criminal to avoid at least one reference to the "Troi Cake". All signs of consumption - and did you notice that the slice Worf is eating is cut into the Starfleet delta shape? Anyway, let's look more like at what these stories say about Data. I actually think that the dream programme is far darker than we sense here. I I personally don't think Data really understands the power of the visions even when realises the significance of the visions at the conclusion of Phantasms which ultimately leads to the salvation of the Enterprise crew. In fact it could be seen that this addition is a weakness. I look at it this way, not only does he oversleep but there is the attack on Troi to consider. In Birthright, Data is wiling to effectively self harm to experience the programme again and becomes fanatic to the point of obsession with recreating images from the initial vision. While he might see it as some kind of Holmesian mystery to solve there is genuine danger to reach that goal and learn what it might all mean. It is perhaps more of a lost opportunity in Phantasms to push Data to yet another level that would be artificially provided in Generations. Maybe this belays that Data's personal evolution is not finite and that he simply does not understand how the dream programme could aid the ongoing development of his humanity even when there is moment that could define his future and is (almost) missed. 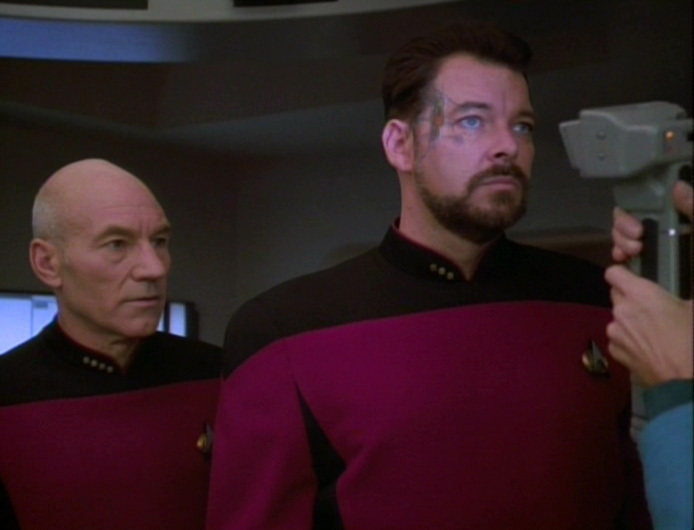 While the choice of location for both of Data's dream experiences are firmly on the Enterprise (budget limitations i expect) is limited his dreams relate firmly to his past with fantastical embellishments - Riker's straw, Soong as a blacksmith. This latter vision has a thread carried into the sequel with the workmen i dressed in equally period garb. Interesting that such a futuristic being as Data would hark back to such an age - maybe hints of his preference for the odd Sherlock Holmes mystery coming through his android subconscious here! The very unsophisticated look of the workmen as well as Dr Freud's involvement perhaps are even further suggestions that Data's dreams and possibly his evolution are still in their infancy - he has yet to evolve to a more high-tech age and is still regarded by his now-deceased creator as a child in so many ways. While the workmen and Freud, like all the aspects of the dream are in some way symbolic, they are the most memorable aspects of the story. Where else would you find three manual labourers attempting to dismantle a plasma conduit in the office of a famed psychologist in the dream of an android lieutenant commander on a starship (souonds even more bizarre when you read it back). The addition of that emotion chip back in Brothers might have been a bit early given some of Data's nuances over the later seasons (particularly when fed emotions from that very chip in Descent). Just to take a few moments to indulge in Phantasms it is more unusual when you look at the structure of the story. The Data plot is also aligned with a faulty warp core, the Annual Starfleet Admirals' Banquet and a love-struck young ensign in Engineering. It's packed to the saucer section with great moments which all intertwine into one strand at some point along the way whether we realised it or not. Data's dreams act as the core to the narrative with all these elements packed around it seemingly separate but yet all fundamental to the solution - even if that solution is keeping the captain busy for a few minutes elsewhere. While the dream in Birthright is all about expression and growth, the second tale of Data's mental state is much darker and unnerving as a whole. Birthright is more open and inviting to Data, making him want to explore the possibilities buried within his cranium but that's totally flipped by the surrealism and haunting melodies that are played throughout Phantasms. You're never quite sure what the visions mean right up to the close of either installment and it's the deciphering of the experience which helps us to not only, perhaps, get to grips with the story but also understand how Data deals with a new experience, function or program. How we would have seen this expanded further we will never know. 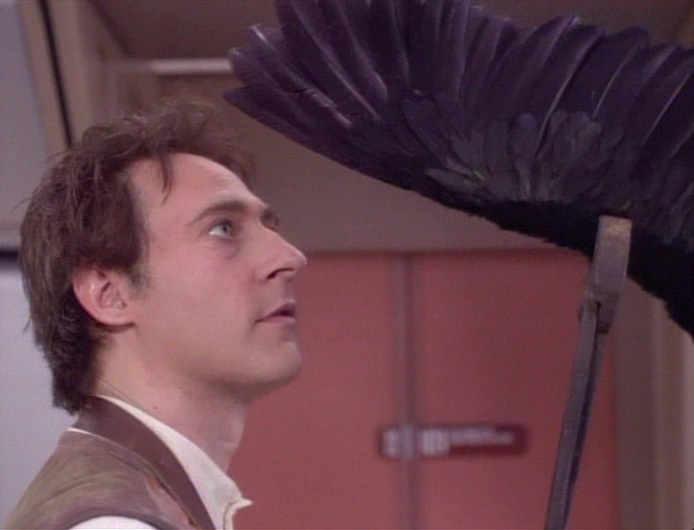 Interestingly after Phantasms there is only one more throwaway reference to Data's dreams in a single line at the end of Masks near the middle of the season. Not only that, but while it's one of my favourite episodes I would really like to find out how the cellular peptide eating critters manifested themselves into Data's dreams in the first place. Maybe it was one of the great misfires of the latter years of The Next Generation alongside the cringe-worthy Force of Nature's warp five speed limit. I think an even more mind-bending third story would have been necessary to top these two pieces. Data as a bird and Troi as a cake? Surely Picard as the White Rabbit had to be the logical next step? I failed at Star Trek Online. I hate parting with money for a supposedly "free" game which takes ages to get anywhere, uses a ton of disk space and relies heavily on "pew-pew" tactics. OK, I applaud that actual Star Trek cast from The Next Generation and Voyager are getting involved with the storylines but it all ends up in the same shooty actions and I became fairly bored pretty quickly. Sorry Online but you failed to ignite my passions for online gaming in every aspect. Deleted. I won't be going back. 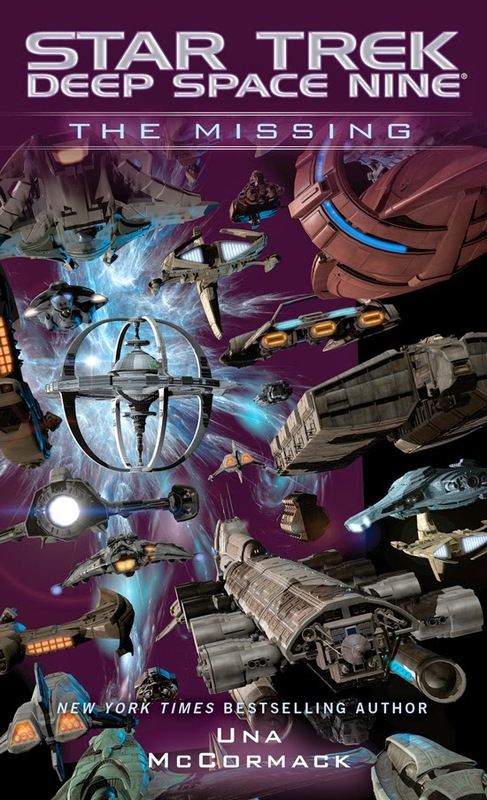 Which led me into looking for something else to float my Star Trek gaming boat and I ended up going back to something that I'd sniffed around a while ago; Star Trek Attack Wing. A few people might scoff and suggest I've just exchanged pew-pew on the laptop for pew-pew on the tabletop but hear me out and then you can fire all the shots you want across my bow. Back in t'day I wasn't adverse to a bit of roleplay gaming from the likes of Games Workshop but with the passing of time these things get boxed and stored in the loft. Attack Wing does have similar attributes, a free-playing game area of any size (be realistic though), free movement, a ton of features for each ship and that all important range ruler. I've toyed with the idea for a while and then with some birthday money I took the plunge and purchased the Starter Pack. 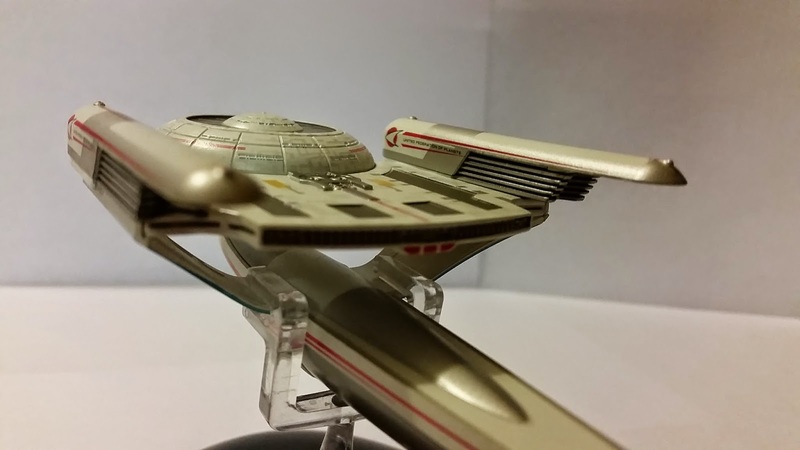 I got a good deal on it so I recommend hunting around and even managed to add in the USS Voyager expansion for not much more than the set would have cost me on its own at full retail price. For a starter box it's packed solid with everything you'll need to get running the first part of your likely-to-expand-rapidly fleet. 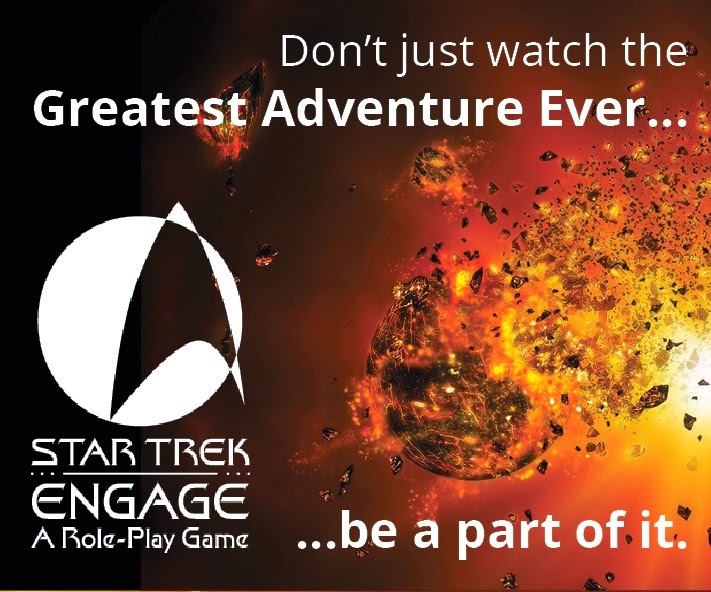 There's the Galaxy Class USS Enterprise NCC-1701-D, a Klingon Vor'Cha Attack Cruiser and a D'deridex Class Romulan Warbird which means two or three player games can be run from day one of your gaming investment. Besides the ships the box contains one Rules of Play book (including some very useful introductory game steps), a chunk of push-out tokens and a couple of decks of cards. The ship models are very basically detailed and scanning over the internet a fair few people have pimped them up to their full, correct visual specification. The promo images for the ships do make them out to be vastly more detailed than they are so just be aware before you buy. However, that taken into account, it's behind the scenes and at the edge of the board that the real magic happens. Each ship gets attached to its own little base carrying a firing arc and basic stats as well as its own captain token before being placed into the gaming arena ready to start. Let's look at the pile of tokens first though. 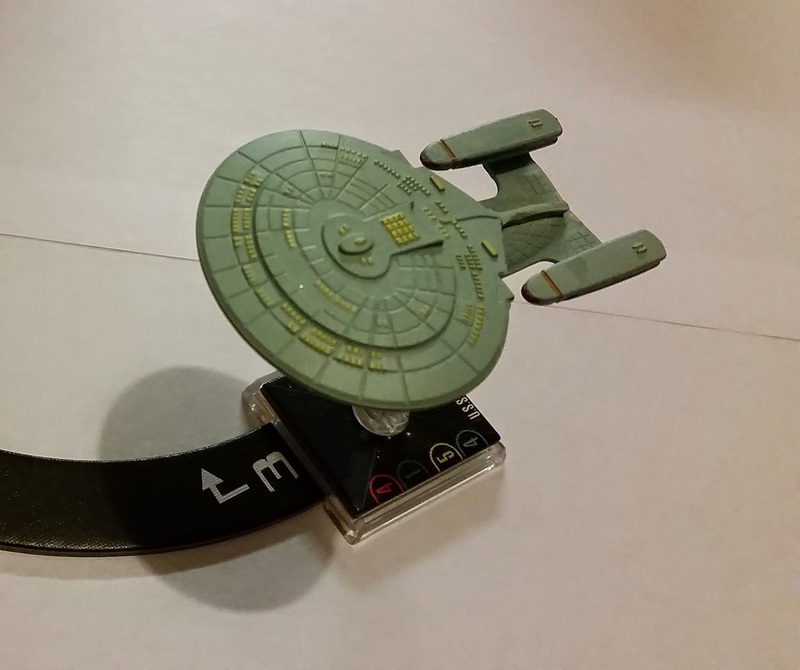 We're already mentioned the range ruler, there are several different movement pieces and then you're into more interesting territory with Captain tokens, ones for mission objectives, others for disabling ship features, others for indicating raised or lowered shields, whether you're using auxiliary power...there seems to be a token for just about every eventuality within the Star Trek starship realm here which makes every encounter unique and more about playing your cards right. The movement dial (pictured) is a clever little device to make sure no-one tries to cheat and avoid conflict. Forunately movement isn't as super easy as selecting a number and direction on the wheel. Each ship has movement limitations that can affect its actions and some move in different ways to others. for example the red right angle with the 3 here means that the Enterprise would be on auxiliary power and lose the chance to use an action in this round. It's a beautiful idea well executed. 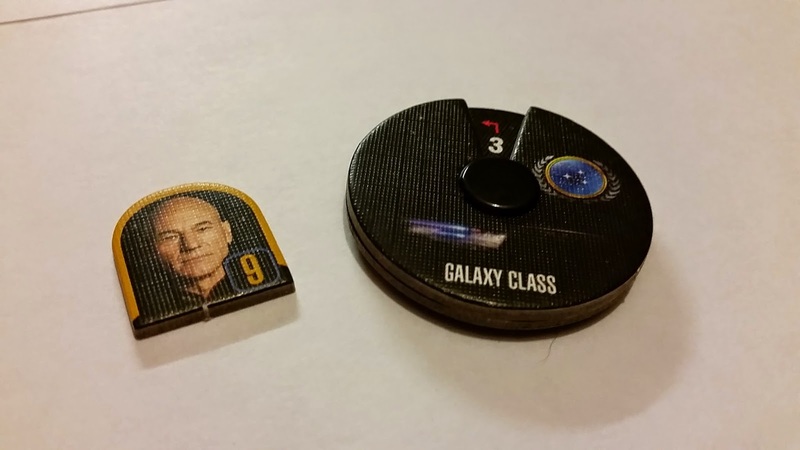 One other thing to note is that the Captain tokens are horribly tight to fit into the base of your starship. They do get bent quickly as the card is thicker than the gap into which it fits so you might want to either photocopy or hunt some spares out on eBay. The cards are just as important, perhaps moreso tactically, as your movement and choice of when to attack. Each round of the game takes four stages - Planning, Activation, Combat and End - everyone plans, everyone chooses where they're going and then enters the third phase which is where the cards come into play. Each player can choose a certain number of ships upgrades (not including their captain card) which will allow them to do certain things during play - maybe once or sometimes repeatedly. It could be allowing a secondary weapon to fire twice, firing a more powerful weapon, cancelling any previous round effects, enhancing shields - you get the general picture. 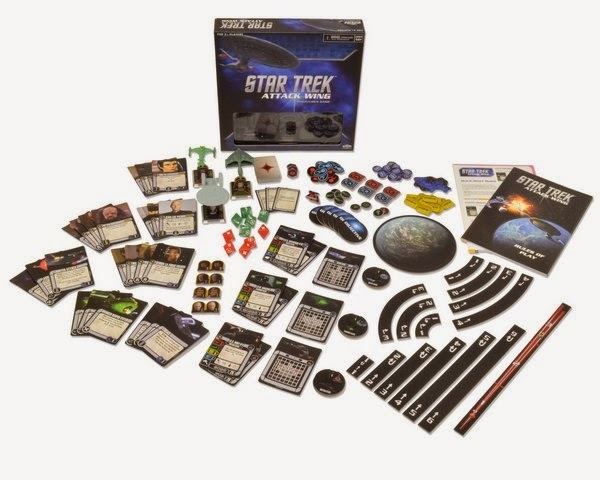 So how does it play once you've popped all the tokens from their card mounts, set your ship up and established who's commanding the Galaxy Class Enterprise and who gets the Klingons and Romulans? At first it's best to follow the guide and try the introductory game. I played my step-daughter and got a whooping with the D'deridex Class Warbird. Shields were down and there was no going back. However once you step past the very basic starter game it gets a lot more interesting. More factors come into play, you appreciate the maneuverability of each ship (which can be significantly different) and just what can push it to breaking point. Shields and hull damage become a lot more significant as damage cards get dealt with successful hits through your defensive grid take an effect on your ship's abilities. The selection of your crew and therefore your upgrades becomes pretty important and as I get further into playing and collecting my fleet I'm sure it'll become more evident that certain abilities are better against certain opponents. 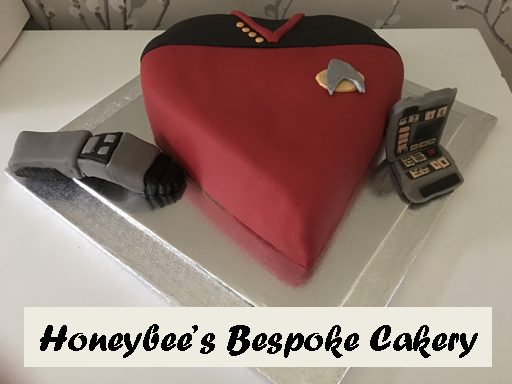 I'm thinking of going for pure Starfleet versus Klingons however I know that there are a couple of ships outside that remit that look rather tasty. 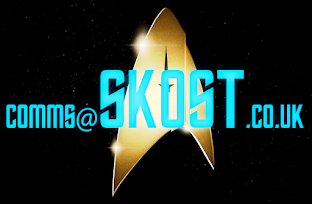 The Galaxy Class ship doesn't have to be the Enterprise either given that there's a blank card to which you can assign your own standard - USS SKoST perhaps? As to the upgrades, each ship has different strengths and weaknesses at this level too with certain crew providing unique features which do have some relevance to their position on the ship. Geordi's are more inclined to propulsion while Riker's have a line into command. Then there's getting to grips with firing arcs and weapon power depending on your target distance and all sorts of bits I probably haven't tackled. 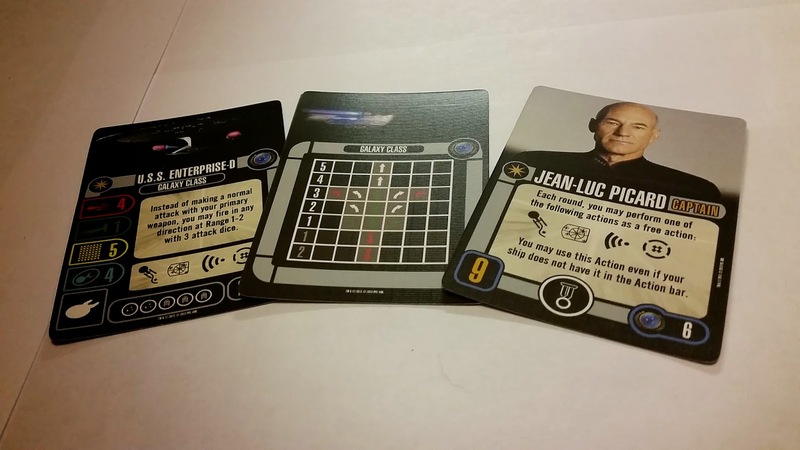 Out of the box you don't get to play as a full fleet due to the number of ships but you can see from these three that selecting the right ones will be key to your successes. I think from conversations I've had with another recent disciple of Attack Wing who's purchased the Breen warship that it has some kind of super weapony thing. I suspect that Chang's Bird-of-Prey has the ability to fire while cloaked. It's on the To Buy list of course. Attack Wing has been out for a while now with the current expansion wave into its ninth cycle with one a month, containing three new ships, planned right up until at least June 2015. 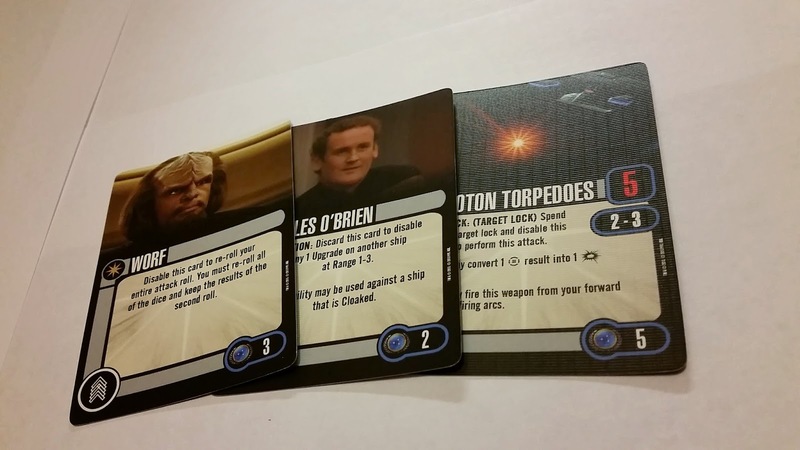 This month saw the arrival of Wave 10 including the Vidiian starship, the Regent's ship from the Mirror Universe and the Cardassian Hideki Class squadron. So far I've only acquired the Starter Set and one USS Voyager. If you're wondering why I've not mentioned that one, I want to talk about it separately so that's my next piece on Attack Wing sorted. 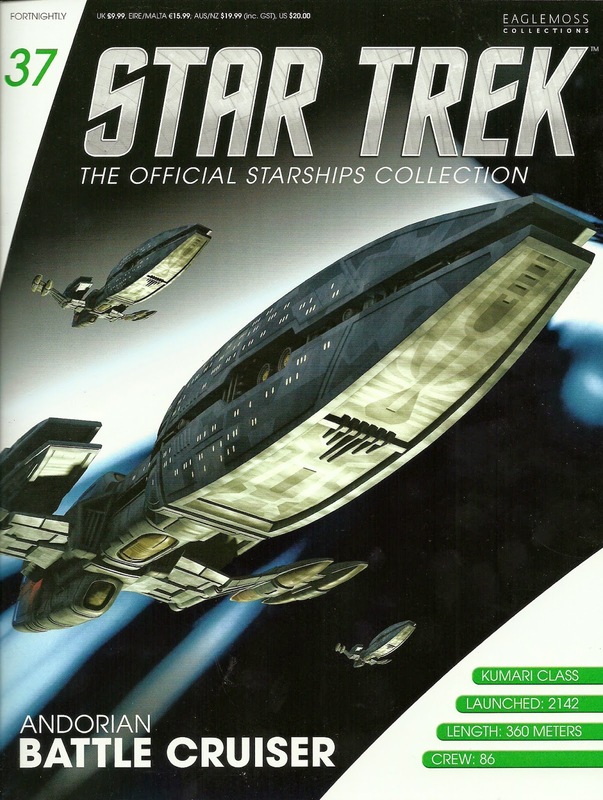 I've grabbed an image here which also shows Wave 11 which adds the Federation fighters, Romulan drone from Enterprise and the Krenim warship from Voyager. For this time though let's round off the discussion on the Starter Set. It's a good deal and means that from the off you're able to play with a maximum of of three players. I get that there's some similarity to Star Trek Online here in the fact it's space combat however at least I can sit and face the person I'm playing and have a chat at the same time rather than facing a computer screen for another ten hours.The in-game variations are endless through the ship upgrades (choose your crew carefully) and the captain as well as in your choice of ship - or ships because your fleet will be growing. Started on Attack Wing? How are you finding the game and what are your ships of choice? Let us know which ones to watch out for below!